Insane Clown Posse have been called a lot of things, from sexual harassers to enemies of the FBI. 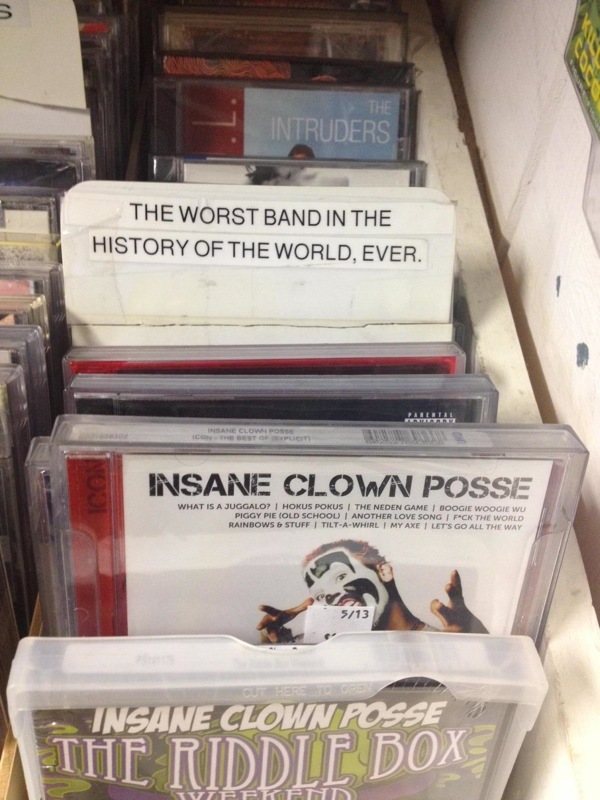 But when it comes to finding a spot for their CDs at the local record shop, it’s hard to find the right label; “clown-faced Horrorcore” just isn’t common enough to warrant its own category. However, this one store has found their own elegant solution, encapsulating their understanding of ICP’s entire existence in one simple phrase. 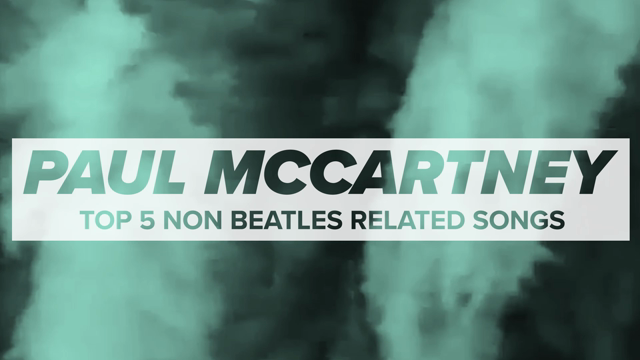 (Extra points for the comma.) Well, at least Violent J and Shaggy 2 Dope aren’t the most evil musicians of all time — just the worst.